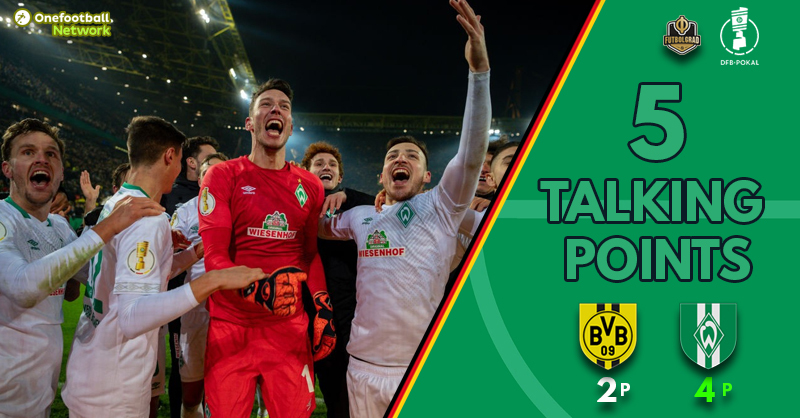 It was the quintessential cup match, Borussia Dortmund vs Werder Bremen had everything – including the dreaded penalty shootout. With high drama from the outset, it quickly became a DFB Pokal fixture to remember. Despite both goalkeepers having to pick the ball out of their respective nets three times each, the fixture very much belonged to the two shot stoppers. 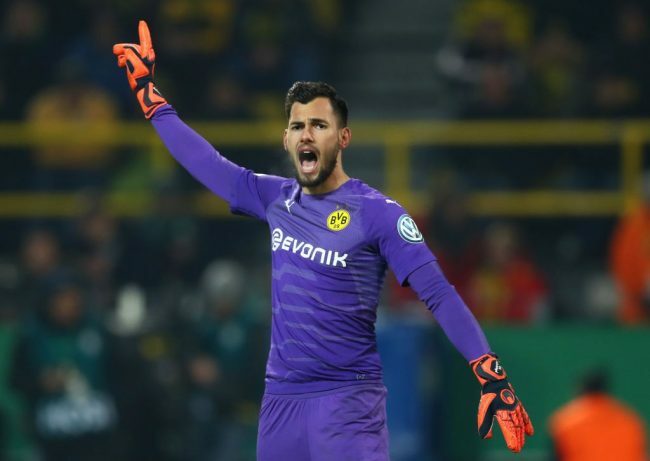 Eric Oelschlägel found himself thrust into the Dortmund lineup after Roman Bürki and Marwin Hitz were struck down by illness. The 23-year-old joined die Schwarzgelben in the summer from – yes who else but – Werder’s second side, Werder Bremen II. For a late notice call up – against his old side, for his senior debut – it could have been a stumbling point for the third choice ‘keeper, but he showed just why Lucien Favre was right to trust him. Conceding an early goal, through no fault of his own, he went on to have an assured debut. Denying Max Kruse three times, one via a wonderful moment. Caught out by a deflection from a free kick, Oelschlägel miraculously shifted his body – in midair – to tip an almost certain net bound ball over the Dortmund bar. The feat was repeated with three minutes remaining – Davy Klaassen thought his shot was in, until a strong hand saw his attempt turned around the post. Unfortunately for Dortmund, the resulting corner led to Werder’s equaliser. This shouldn’t detract from Oelschlägel’s overall performance, it was a crazy game in which he played his part to the full. Not to be outdone by his opposite number, Pavlenka made himself a Werder hero. Like Oelschlägel in the Dortmund goal, Bremen’s 26-year-old ‘keeper just had to strap himself in for the ride. Not at fault during the 120 minutes of open play, there was no need for him to carry any nerves into the dreaded penalty shootout. Every Elfmeterschießen needs a colossus, tonight it was Pavlenka’s turn to be the wall to deny the Yellow Wall a celebration. Paco Alcácer had been dubbed the ‘striker who couldn’t stop scoring’, tonight from 11 meters out he was comprehensively halted in his tracks. It was to be the first of two spot kick saves that released any pressure from the Werder penalty takers. Denying Alcácer, the Czech ‘keeper then turned his attention to Maximilian Philipp. The Dortmund substitute saw his limp penalty easily saved – Davy Klaassen exchanged a smile with Pavlenka as he walked up to the penalty spot – the Bremen players knew exactly what their hero had set up for them. Performances are soon forgotten in the aftermath of defeat, especially when they come via a penalty shootout. However, for a player who has flattered to deceive so far during this campaign – tonight the American showed exactly why Chelsea pursued him in the transfer market as they did. Exceptionally lively from the off, the 20-year-old rolled back the clock and put in a shift not seen since the departure of Thomas Tuchel. The star of the USMNT was unlucky not to grab an early assist, his wonderful run and pass was latched on to by Mario Götze – the Dortmund forward saw his cheeky flick roll agonisingly wide of the Bremen far post. You could tell Pulisic was having an influence on the fixture, he soon became a target for the Werder defence to try and stop – by hook, or by crook. Eventually the now Chelsea player was rewarded for his night’s work in added time. A twisting run was combined with a one-two, Alcácer provided the bounce as Pulisic broke free and calmly slotted home Dortmund’s second. After a somewhat disappointing start to the season, Dortmund will hope that this is the American back to his best. He will be a welcome asset as they turn their attention back to the Bundesliga, as well as forward to a clash with Tottenham Hotspur in the Champions League next week. The Werder coach played this particular encounter perfectly. Normally favouring a four at the back system, the 36-year-old opted for a 3-4-1-2. Kohfeldt will have undoubtedly seen Dortmund struggle against sides who have pursued this angle over the course of Favre’s short tenure. Hertha Berlin, Hannover and Club Brugges all took points from Dortmund this season by overloading the defence out of possession, while still retaining the ability to transition from defence to attack quickly. Philipp Bargfrede, Theodor Gebre Selassie and Ludwig Augustinsson all dropped deep out of possession to give a six at the back, which Dortmund found difficult to break down during normal time. Davy Klaassen and Maximilian Eggestein provided the spark in midfield during the transition, all evening. 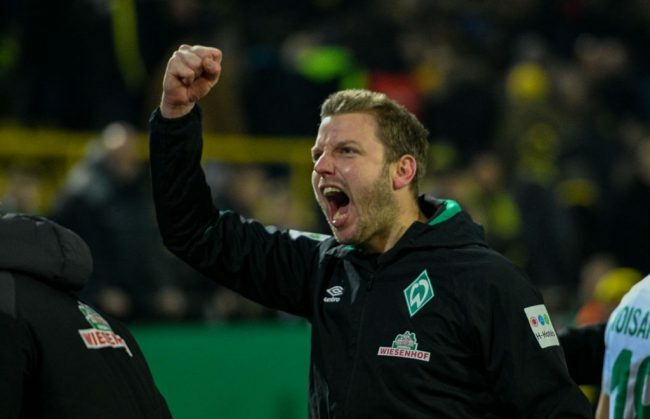 Even Kohfeldt’s tactical substitutions payed dividends in added time, as Martin Harnik and Claudio Pizarro provided both equalising goals that dragged the fixture to its ultimate climax. After contesting four Pokal finals on the trot between 2013/14 and 2016/17, Dortmund will once again be absent from May’s party in Berlin. Winners against Eintracht Frankfurt in 2017, this competition has provided their only trophy in the past six seasons. After a round of 16 exit to beaten finalists Bayern last season, there would have been a hope that the Yellow and Blacks could once again take their place in the Olympiastadion. However, riding high at the top of the Bundesliga – seven points clear of their nearest rivals – tonight’s upset will pale into insignificance should they lift the Meisterschale in the spring. Lucien Favre will have felt the miserable night complete when he received confirmation of an injury at full time to one of his star players. Marco Reus (who left the field at half time with a suspected muscle injury) has been key to the Dortmund dominance this season. It now looks as if the Dortmund captain will miss the visit of Hoffenheim on Saturday, and potentially a key Champions League first leg in London in eight days time.